Do not process the ingredients required for this recipe longer than necessary, as it can destroy some of their health properties. Hemp (or coconut) milk should not be replaced with regular milk. If you do not fancy any of these, use almond milk. Put all the ingredients in your blender and blend until you get a nice and smooth texture. 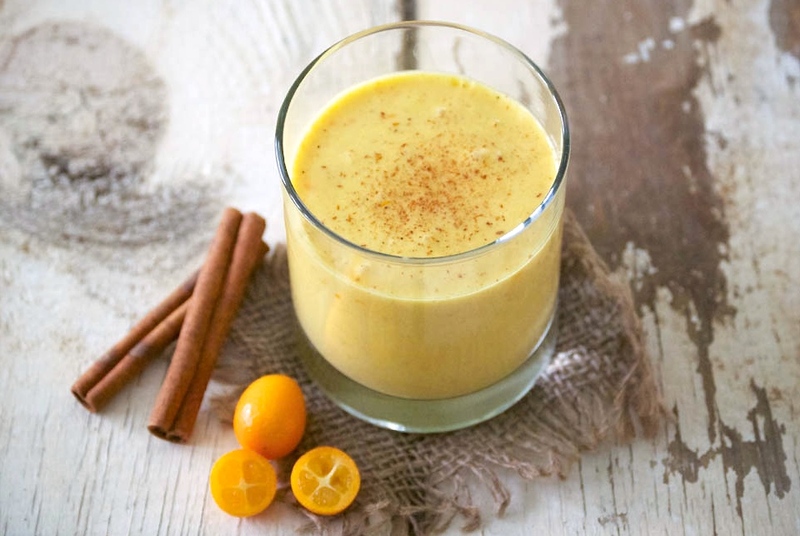 Drink the turmeric smoothie every morning before you eat or drink anything. It is one of the best ways to maximize the antioxidant intake and boost your energy. 1. Pregnancy: Oral applications of turmeric in medicinal amounts are considered as unsafe. 2. Breast-feeding: Science does not provide enough evidence regarding this topic. However, we suggest that you avoid consuming turmeric during breast-feeding. 3. Gallbladder: Turmeric can make gallbladder problems even worse. 4. Stomach problems: Turmeric can upset your stomach and avoid using it if you suffer from gastroesophageal reflux disease. 5. Surgery: It may slow the blood clotting. In some cases it can cause extra bleeding during and after the surgery.